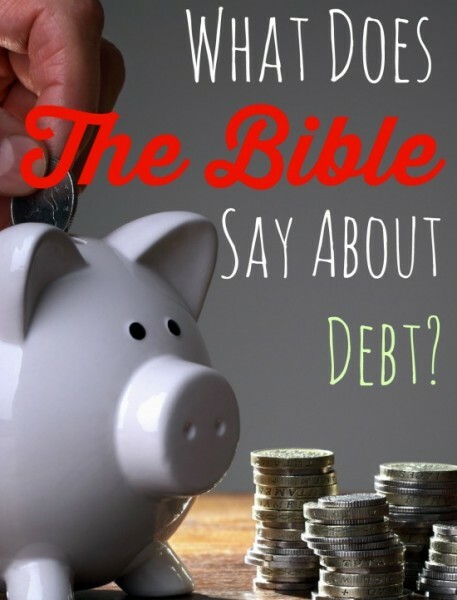 Christian Business Blog > Posts > Christian Business Tips > What Does the Bible Say About Debt? There are a number of verses in the Old and New Testament concerning debt, and one of the most noteworthy can be found in Paul’s Letter to the Romans. Romans 13:8 states that: “Let no debt remain outstanding, except the continuing debt to love one another”. This clearly states that as a Christian, a person has the responsibility to live a financially stable and debt free life, save for the continued love of his God, and fellow man. So is debt considered a sin in the eyes of God? In truth, there is nothing in the Bible that specifically calls debt a sin. However, there are many cautions about debt becoming a source of conflict or problem. For example, debt can become a problem if the source of the need is envy from a neighbor’s possessions or even greed. 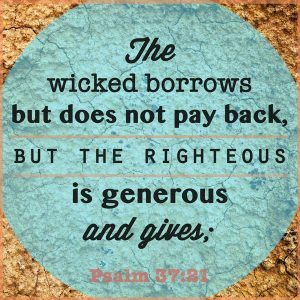 These two verses clearly indicate that the cause of debt is sometimes envy of the possessions of others, the love of wealth, and a lack of faith in that God will provide. In addition, the Bible clearly indicates that all debts should be repaid. According to Romans 13:7, the Christian should: Give everyone what you owe him: If you owe taxes, pay taxes; if revenue, then revenue; if respect, then respect; if honor, then, honor. Also, the Bible indicates that debt should be a temporary state of affairs. For example, in Deuteronomy 15: 1, debts should be resolved or cancelled, within seven years. At the end of every seven years you must cancel debts. In summary, debt in and of itself is not a sin, however, the causes of debt, and the reckless borrowing of money can lead to sinful actions, so the Christian should make every effort to live responsibly.